Apple Apartment is situated in Kalkan, Turkey. Our holiday rental property sleeps up to 5 people. Apple Apartment has has 2 air conditioned bedrooms. If an additional bed is required there is 1 folding bed. The villa can sleep up to 5 people. 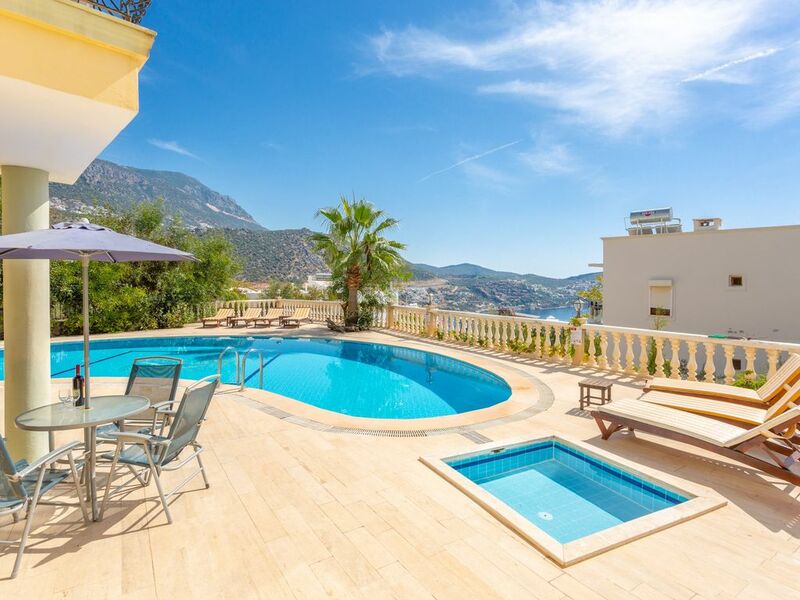 View from the pool over Kalkan harbour.The lounge opens directly on to your own private poolside patio. Love this Apartment. Had everything we needed for a girlfriends trip. Walking distance for us, and plenty to do for keeping us Girls busy. Nice apartment ,great views well equipped kitchen and in walking distance of everything we needed. Lovely modern apartment with a friendly maid (Sonuel?) Nothing too much trouble. We loved Kalkan too.